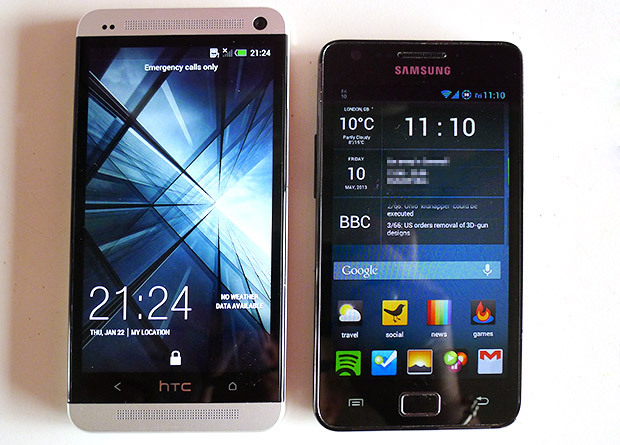 Ahead of the full HTC One review we’ll be doing next week, here’s a couple of quick comparison snaps showing how the S4 rival sizes up against our long-serving (and rather battered) Samsung Galaxy S2 phone. 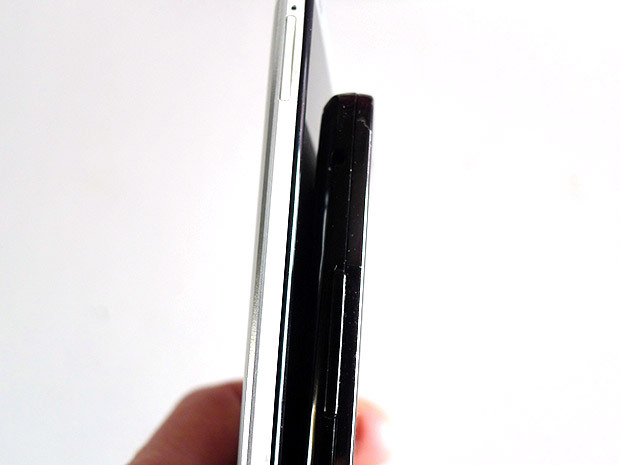 Although it’s clearly a fair bit larger than the S2, the difference seems negligible in the hand, with the sleeker profile of the HTC making it a very pocketable phone. 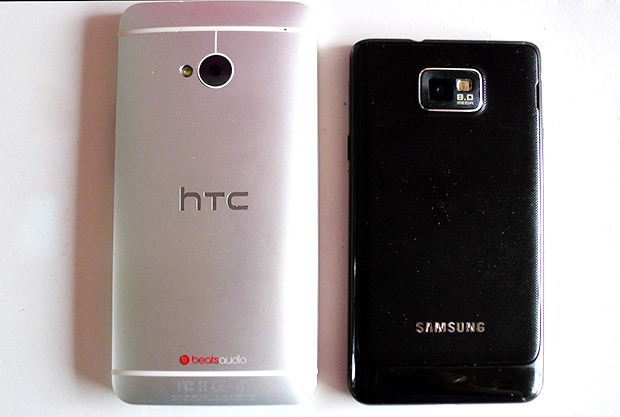 The build and finish of the HTC is leagues ahead of our S2, with the all-aluminium frame exuding a high-end, classy feel. The phone really is as good as it looks to hold. We’ll have the full review up soon, but so far our early impressions of the HTC One are overwhelmingly positive – this is a stunning phone.